Restrained for many years but still apparent, the racial divide in America is back on the scene in its most frightening manner. We are now wondering what went wrong, and our elected officials, leaders from faith-based organizations and social scientists have advanced a number of theories for the recent stream of civil unrest. But all agree that violence is not the solution. Our collective prayers should go out to the families of victims and survivors of the recent horrific events. We grieve with the families of five slain policemen in Dallas. We grieve with the families of the African-American males killed in Louisiana and in Minnesota, both shot by police officers. South Carolina is a year removed from a similar atrocity. These senseless acts have no place in communities across our nation. A study in 2015 by the Pew Research Center found that half of Americans believe racism is a serious problem in our nation. The legacy of Dr. Martin Luther King Jr. is intertwined with the effectiveness of peaceful demonstrations. It works but only if both sides of our racial divide are willing to come together to achieve a common purpose and appreciate racial and cultural differences. As Americans, we now must redouble our efforts to have an open and honest conversation about race relations; otherwise, we will continue our descent into a nation in which civil unrest is the norm. At Claflin University, where students have traditionally and historically led activities to ease racial tensions and eradicate social injustice, we will remain steadfast in our commitment to keep the student body fully informed and engaged to promote racial and cultural unity. As a nation, we must begin to treat each other with compassion and understanding while appreciating our differences. We must bring an end to the violence which plagues our nation and uplift America as a place where we all are respected and live as one, regardless of race, color, creed, gender and all demographics that divide us. 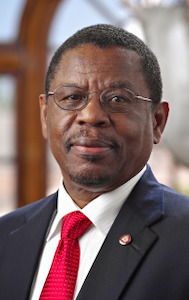 Dr. Henry N. Tisdale is president of Claflin University.